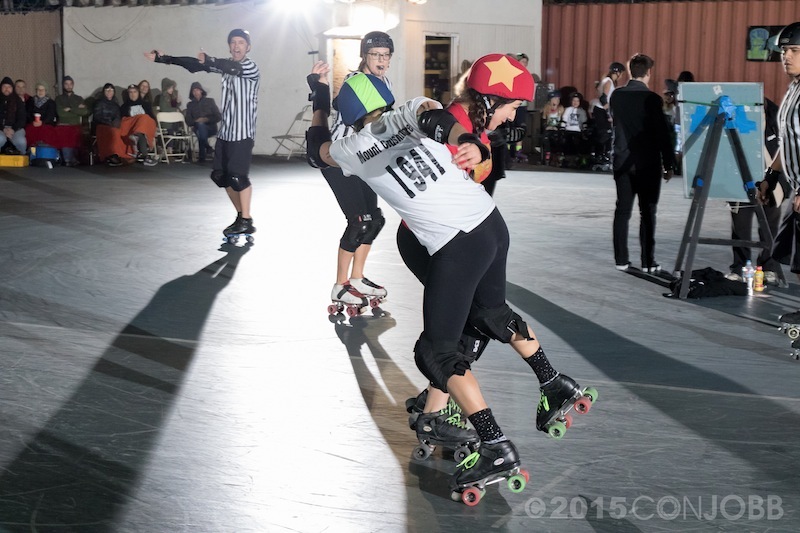 Want to the know the latest and greatest news about SFV Roller Derby? 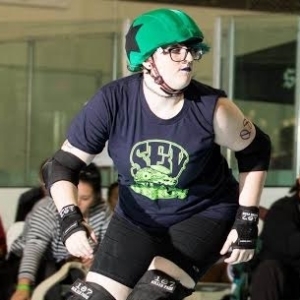 Skater of the Month? 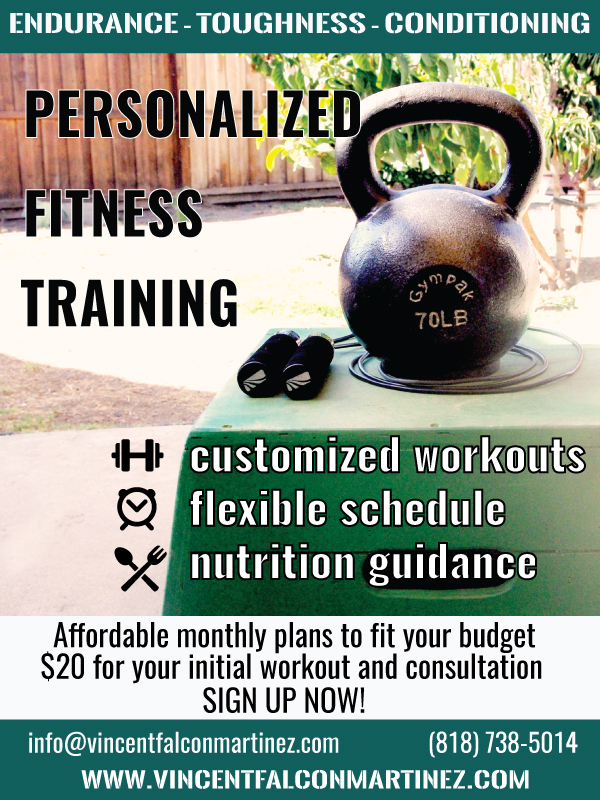 Upcoming bouts? Then subscribe to our newsletter and be one of the cool kids! Please be sure to click "View Entire Message" or "View this email in your browser" if all content does not appear. Adults: $10 at the door ~ Kids under 10 are FREE! Buy your tickets on Brown Paper Tickets and RSVP on Facebook. 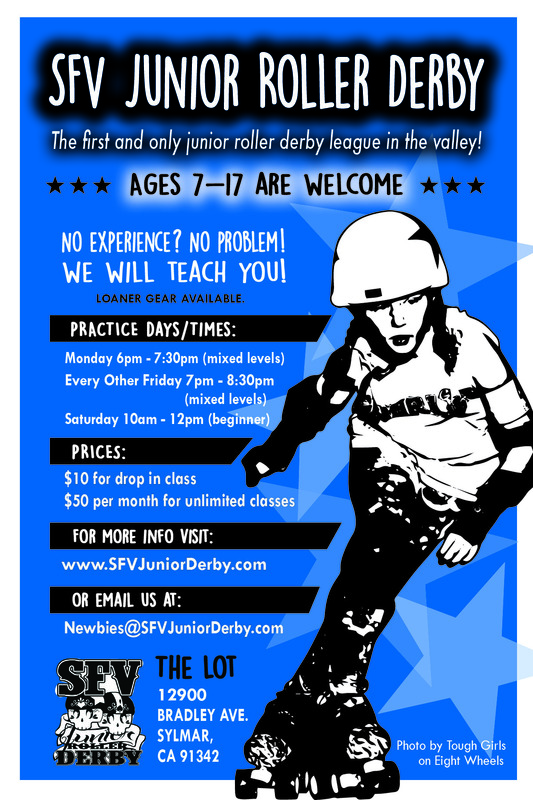 Did you know that San Fernando Valley Roller Derby is the first adult league in derby history to have been built from a junior league? 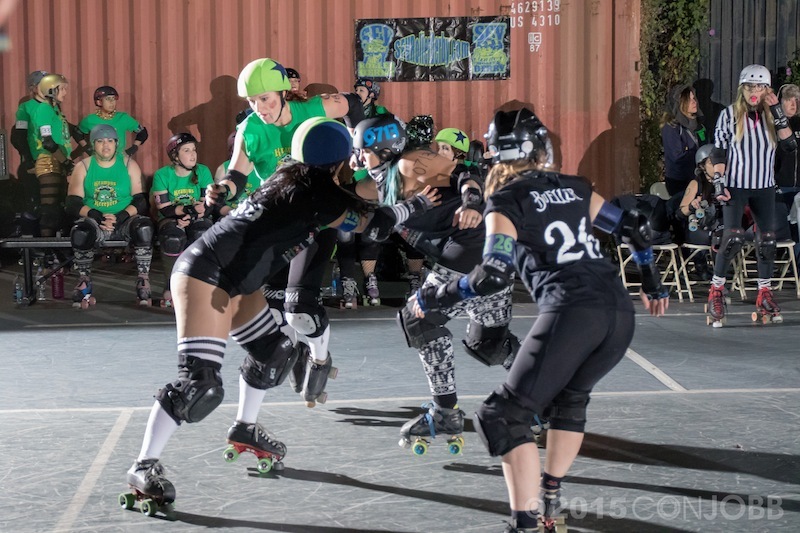 SFVRD’s fearless founder, Killo Kitty, started SFV Junior Derby in January 2011, and soon after an adult league was also born. 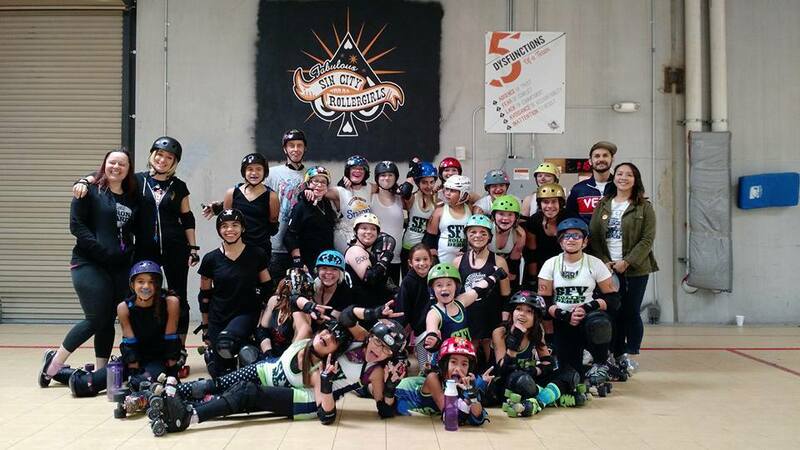 Practices were limited and originally split between Skateland in Northridge and an outdoor skating rink in North Hollywood, but SFVRD found a home at The Lot in 2013, allowing practice time to triple. 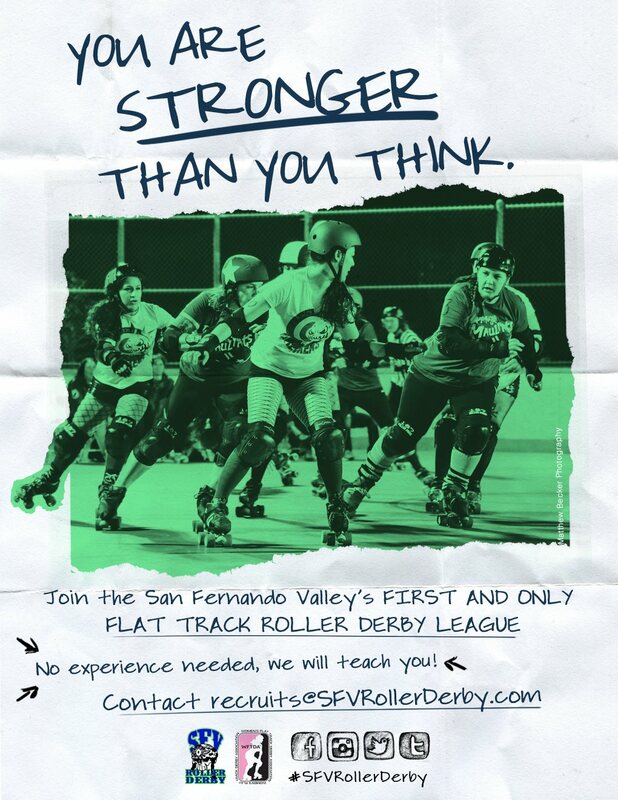 Because the league continues to grow, SFVRD just recently created a fourth home team! 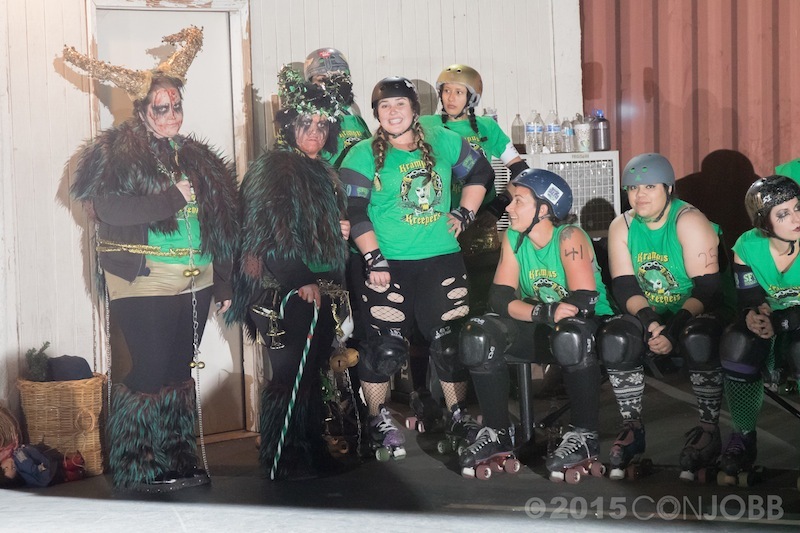 This January 2016, we are celebrating 5 years of our own derby history! 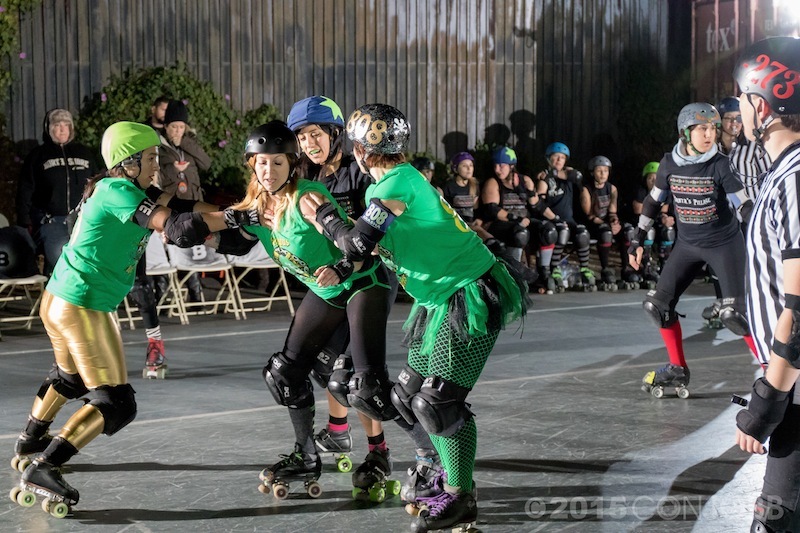 On December 12th, SFVRD held a mixed-levels bout of holiday-themed teams to not only celebrate the season, but also to benefit the Haven Hills Women's Shelter. 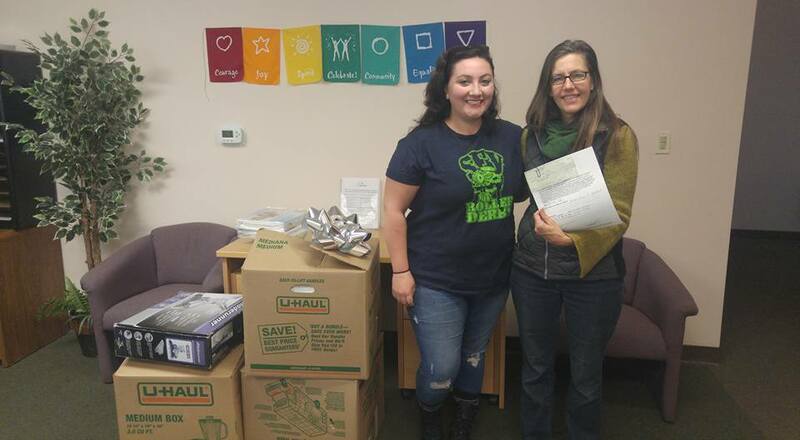 Proceeds from the bout were donated to the shelter and Winter Slay attendees were encouraged to bring much-needed items for Haven Hills. 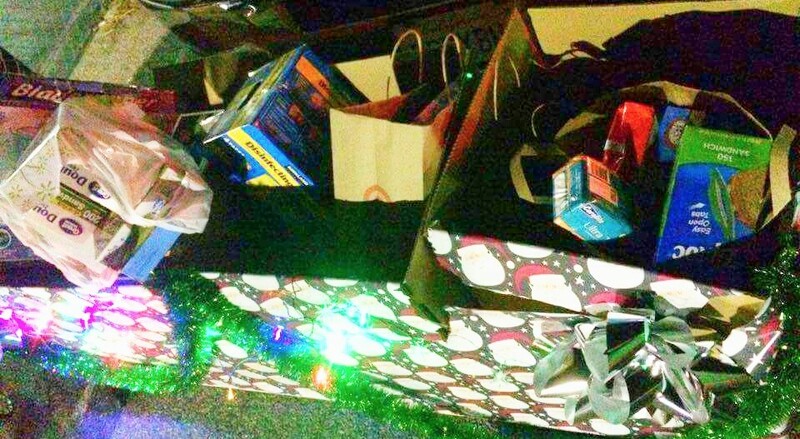 By the end of the night, $850 was raised and four large boxes were filled with toys, books, and other donated goods. 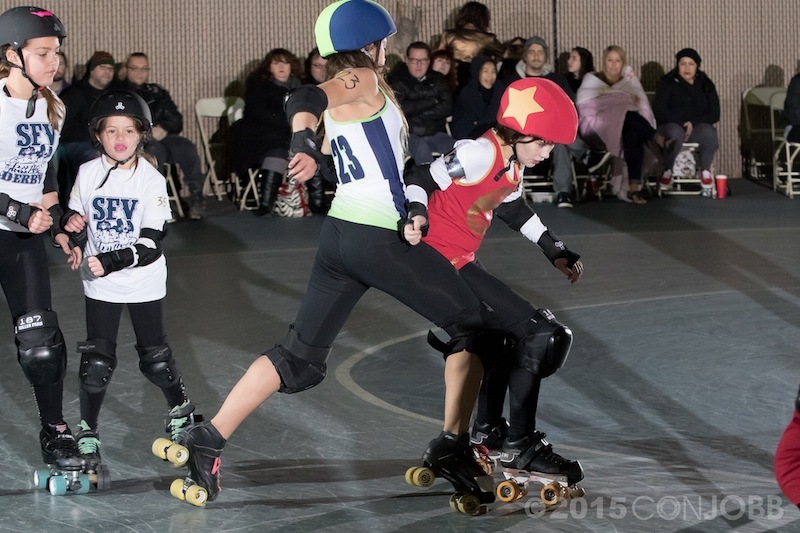 Game Structure: A bout consists of 60 minutes of playtime, which is split into two 30-minute periods. There is a halftime break of at least 5 minutes in between periods. 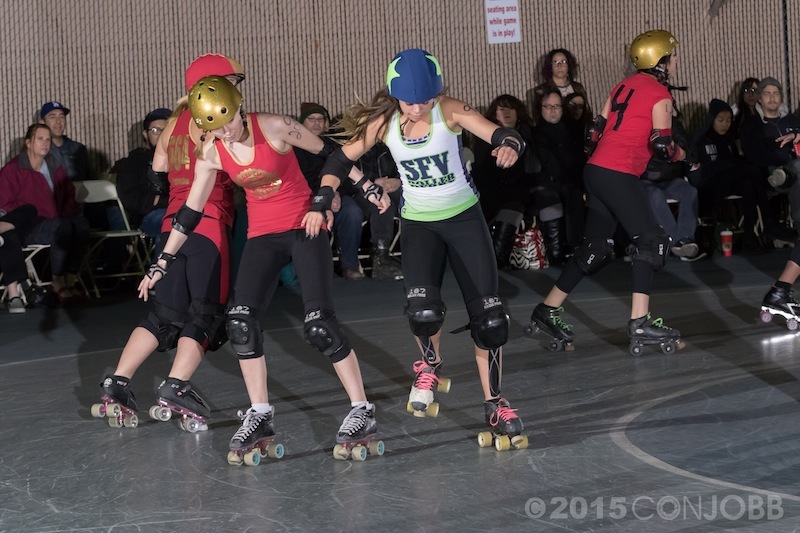 The team with the most points at the end of the bout wins. Periods: The period begins when the jam-starting whistle blows. The period ends when the last jam ends, which may extend after the period clock reaches 0:00. If there are 30 seconds or less on the period clock when a jam ends, there will not be another jam in that period unless one of the teams calls a timeout or official review. The clock will begin running again once the designated official deems the Official Timeout complete.